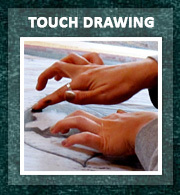 The Center for Touch Drawing is a sole-proprietor, artist-run business founded by me, Deborah Koff-Chapin, when I released my first educational video in 1993. Though The Center is run as a small business, it has a non-profit ‘mission’ to make the simple yet profound process of Touch Drawing accessible to as broad a range of people as possible. In being true to the spirit in which Touch Drawing came into my life, I encourage those who learn of it through my media and workshops to share it with others in their lives and work. I ask that people credit the source and give the website: https://touchdrawing.com when they introduce it. 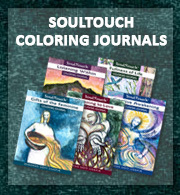 The Center for Touch Drawing also publishes and promotes my own artistic work with Touch Drawing. If you purchase from our online store, from live sales at a workshop, or register for a workshop, we retain your information for shipping products, bookkeeping, transactions and direct communications regarding your purchase or workshop registration and follow-up. You have the choice to join our email subscription or not when completing the purchase or registration. Your credit card information is not accessible to us. It is entered on the secure Paypal payment page. You do not need to be a member of Paypal to pay via your credit card. By voluntarily filling out our email list contact form online or at an event, or checking the ‘Subscribe to our List’ option when purchasing or registering, you agree to subscribe to our email list. We do not send paper promotional mailings. Your data will not be shared with any other entity whether commercial, nonprofit or private, or used for online advertising. You can unsubscribe at any time. If you attend a CFTD workshop at a conference or retreat center that handles registration, you will be sent a follow-through communication and given the opportunity to join the list. We use Mailchimp enewlsetter service. 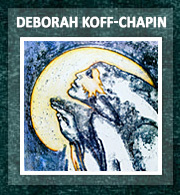 We send occasional artistic images by Deborah Koff-Chapin expressing seasonal moods or marking special moments as Deborah feels the inspiration. 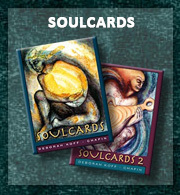 We also send Deborah’s workshop schedule and/or articles of interest regarding Touch Drawing, SoulCards or other creative projects and products of The Center for Touch Drawing. If Deborah is traveling to a region to offer a workshop, we send a specific announcement to subscribers in that region. Those who have purchased the Touch Drawing Facilitator Workbook receive email communication in support of their interest in Facilitating Touch Drawing. Messages composed within the ecard service and contact information of sender or receiver are not stored in our website or database. When visitors leave comments on blog post articles we collect the data shown in the comments form, and also the visitor’s IP address and browser user agent string to help spam detection. Your data will not be shared with any other entity whether commercial, nonprofit or private, or used for online advertising. You can unsubscribe at any time. If you have left comments, purchased from our online store or joined our mailing list you can request to receive an exported file of the personal data we hold about you, including any data you have provided to us. You can also request that we erase any personal data we hold about you. This does not include any data we are obliged to keep for administrative, legal, or security purposes. You can unsubscribe from our list at any time. We have a website firewall in place and we use a website scanning and monitor service to prevent our site from being hacked.